2012 is an exciting year for art on the TTC, with over a dozen projects planned. We began the year with a special co-presentation with the NFB, which runs through the end of February. 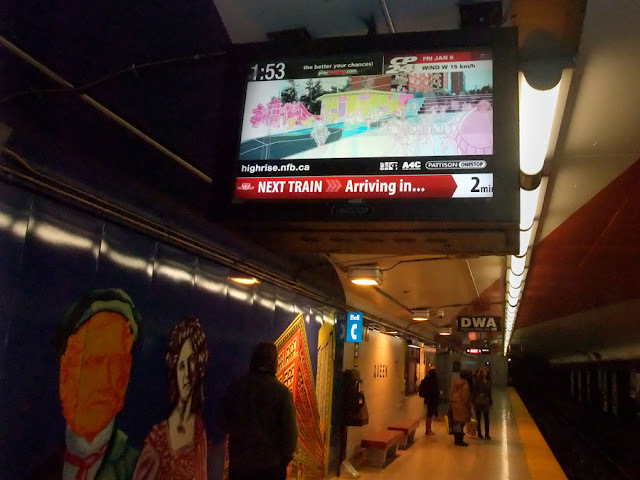 This twofold art installation features a site-specific version HIGHRISE/One Millionth Tower, created especially for the TTC. 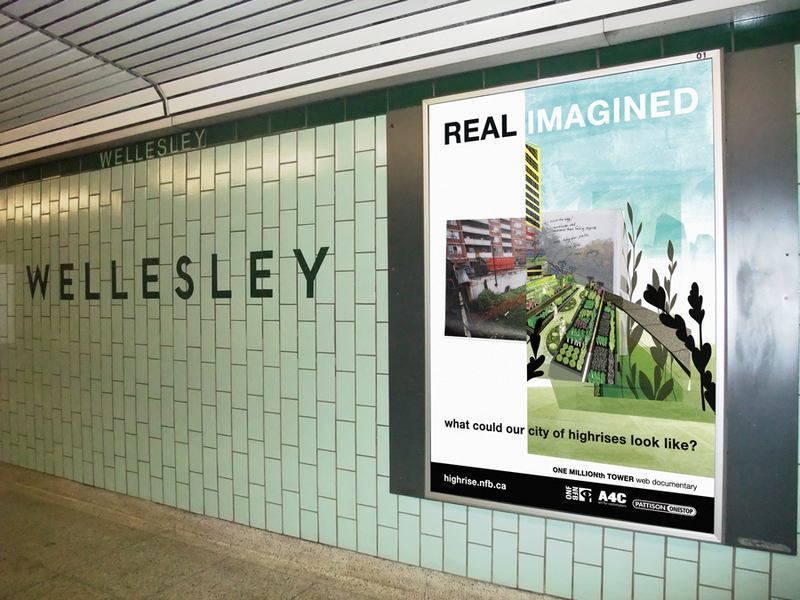 This project, which I curated, draws attention to the reality of our vertical suburbs by bringing the issue to Torontonians as they go about their daily commute on the TTC; carving out a space from the onslaught of ads for them to imagine a more liveable city. 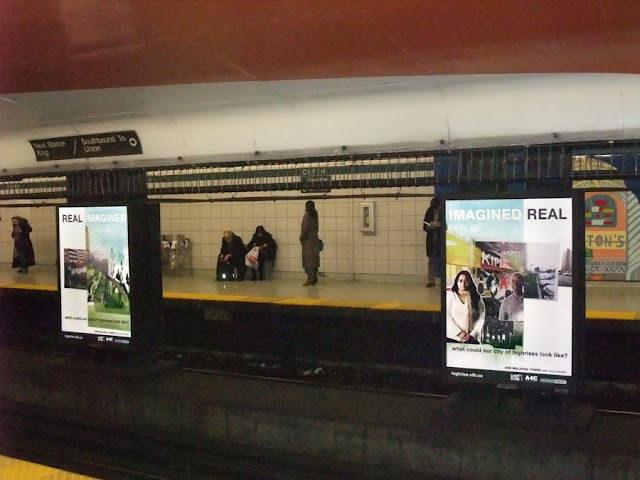 It can be experienced across Toronto’s subway system, as a series of four specially designed subway platform posters in 59 stations, and six 30-second animated videos that play every 10 minutes all day on the entire network of over 300 Pattison/Onestop screens. I am thrilled to be working with the NFB. I have great respect for the ground-breaking work that Katerina is doing, and I'm excited to share this inspiring project with commuters.